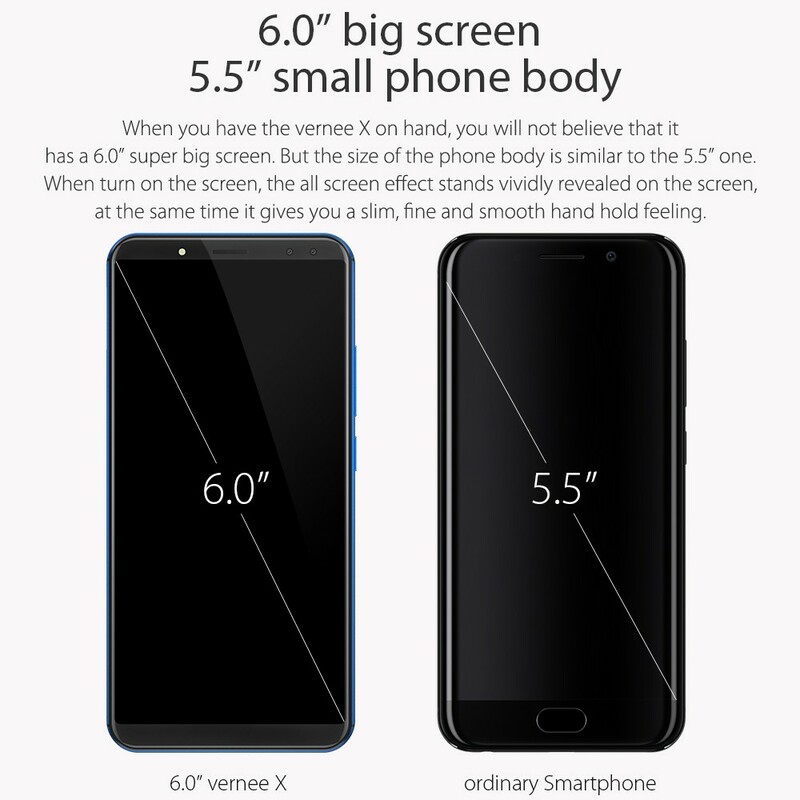 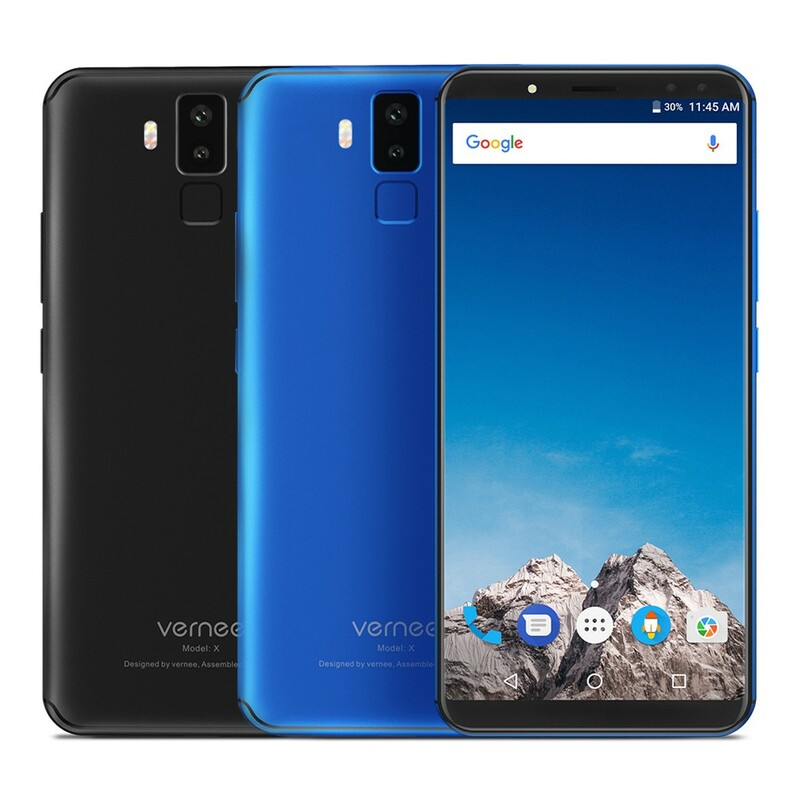 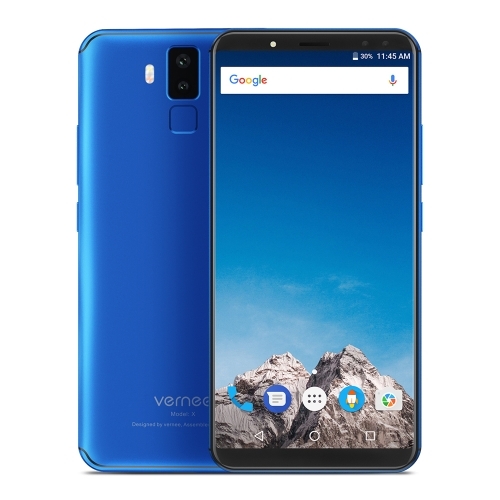 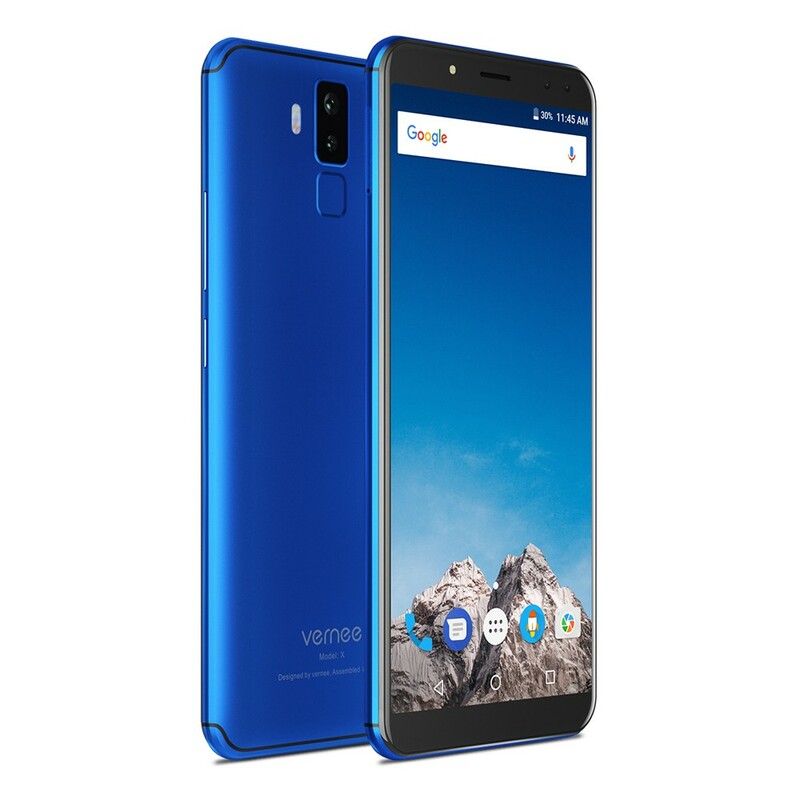 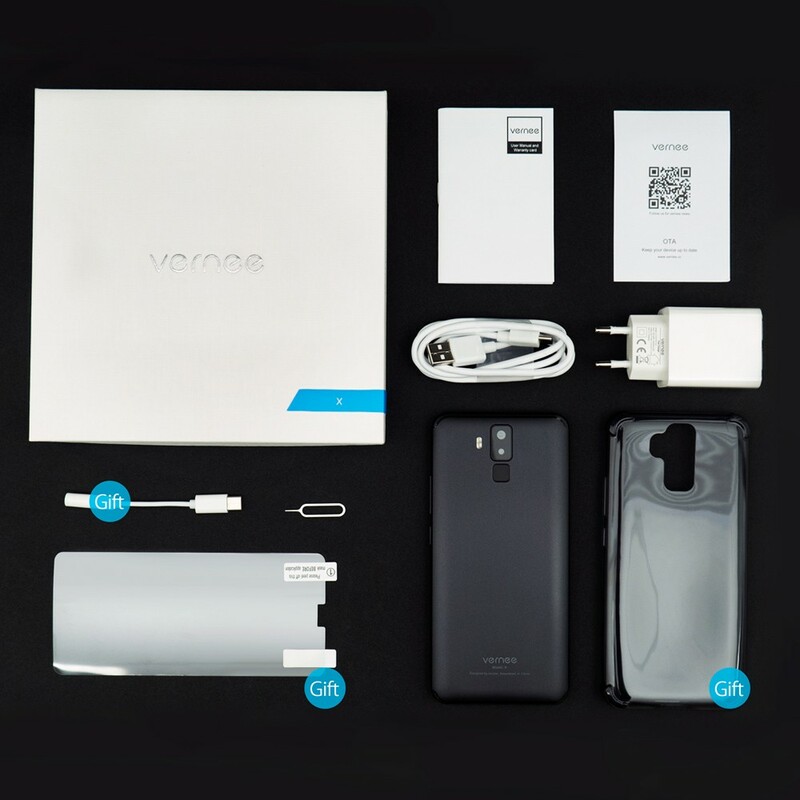 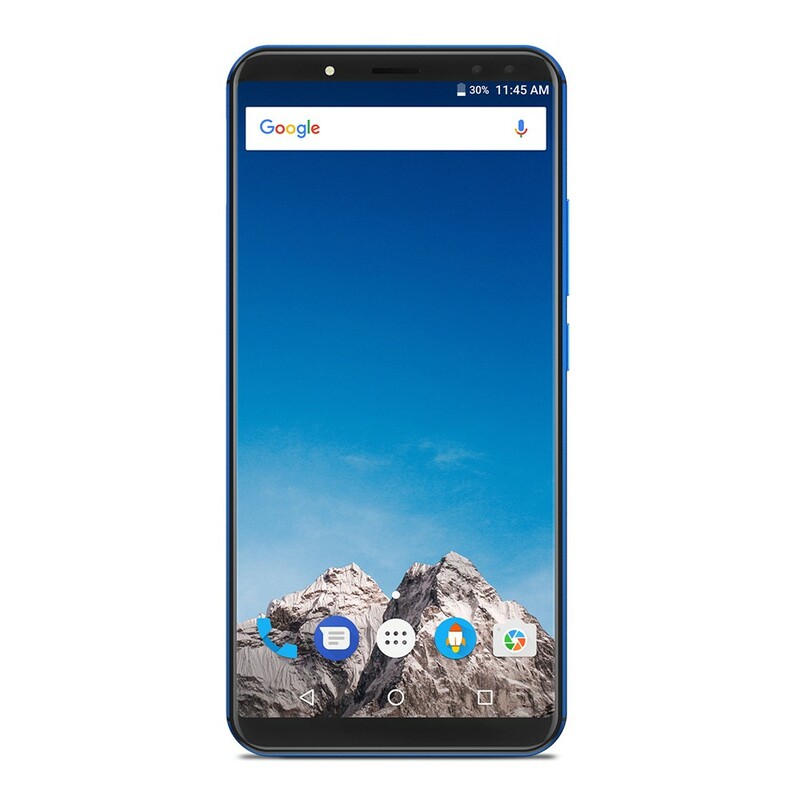 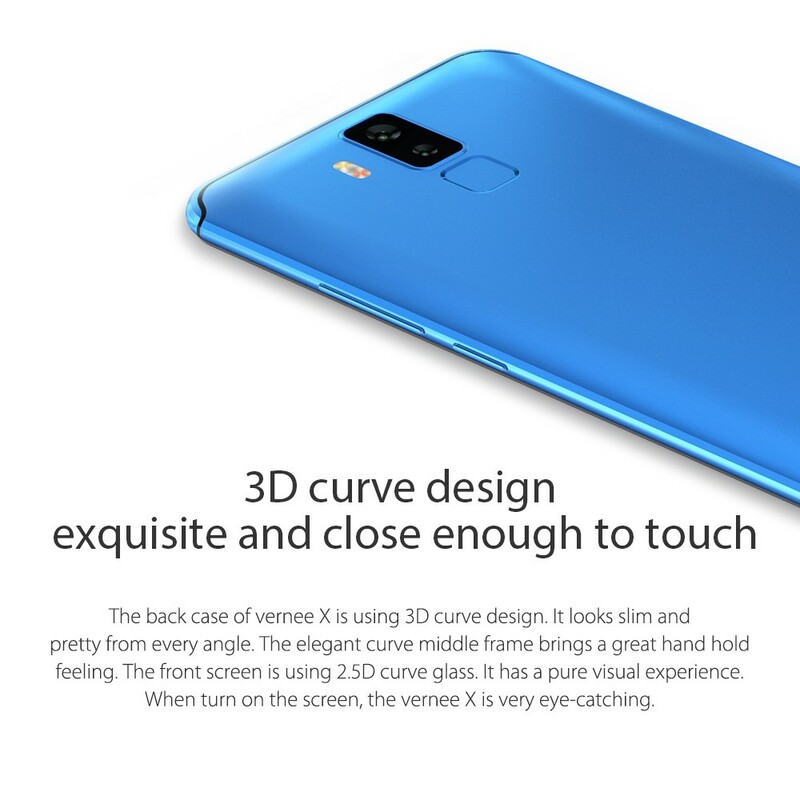 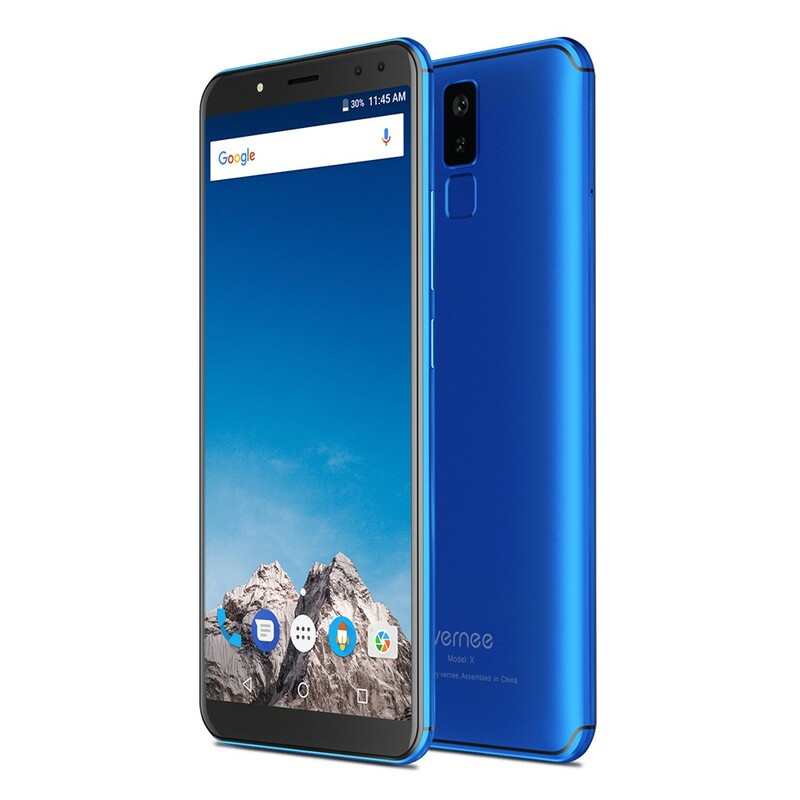 vernee X has a 6.0-inch 18:9 super big screen, but the size of the phone body is similar to the 5.5-inch one, delives you a slim, fine and smooth hand hold feeling. 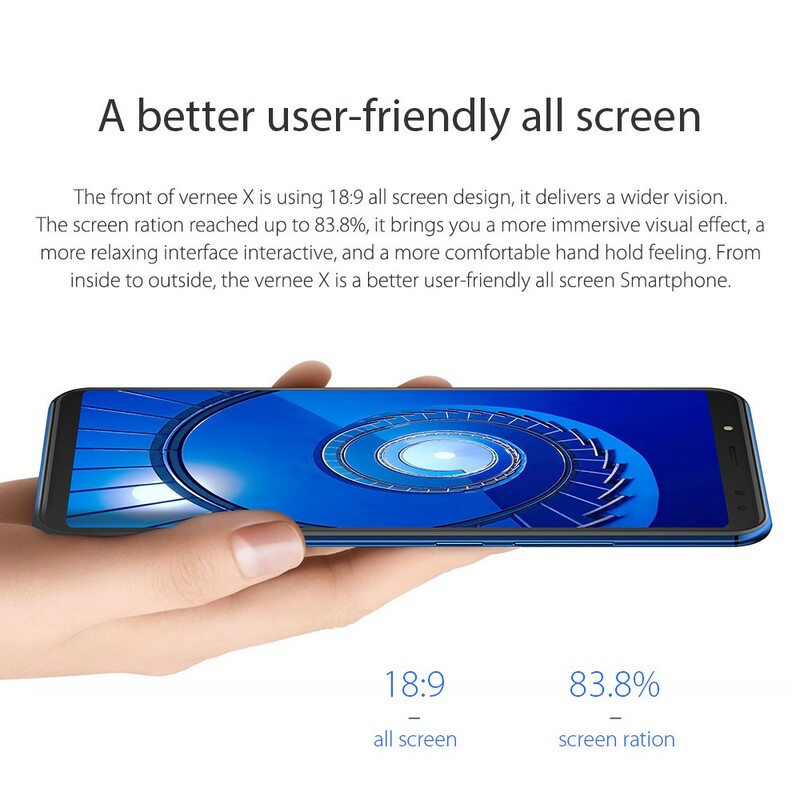 1080*2160 FHD+ screen delivers clear images from every angle. 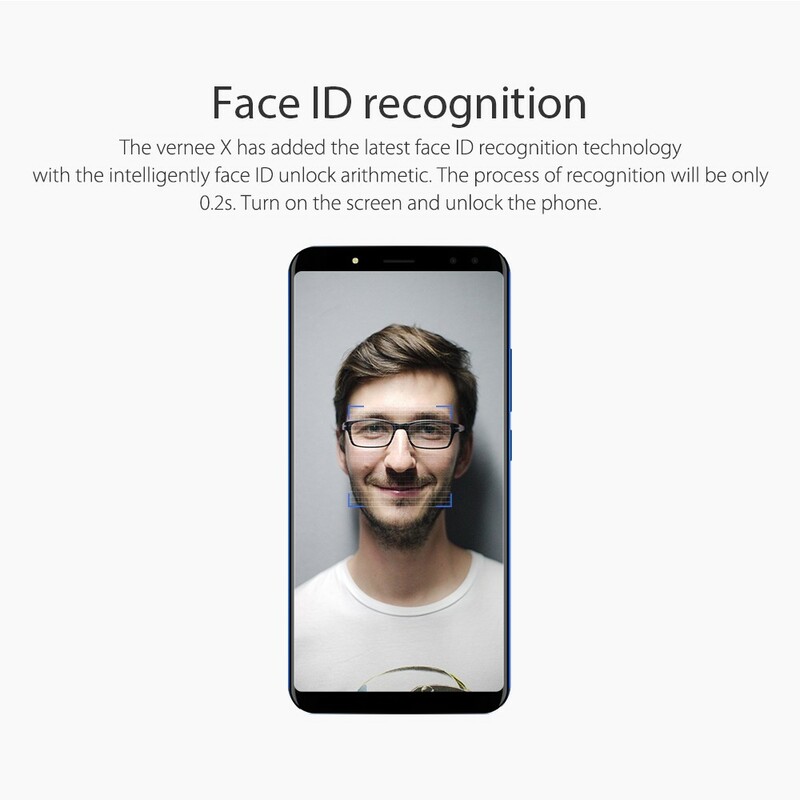 Add the latest face ID recognition technology, faster and safer unlock your phone, gives you a personal phone world. 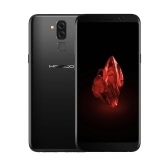 6.0-Inch FHD+ 18:9 Display: 6.0-inch 18:9 bezel-less display, but the size of the phone body is similar to the 5.5-inch one, delives you smooth hand hold feeling. 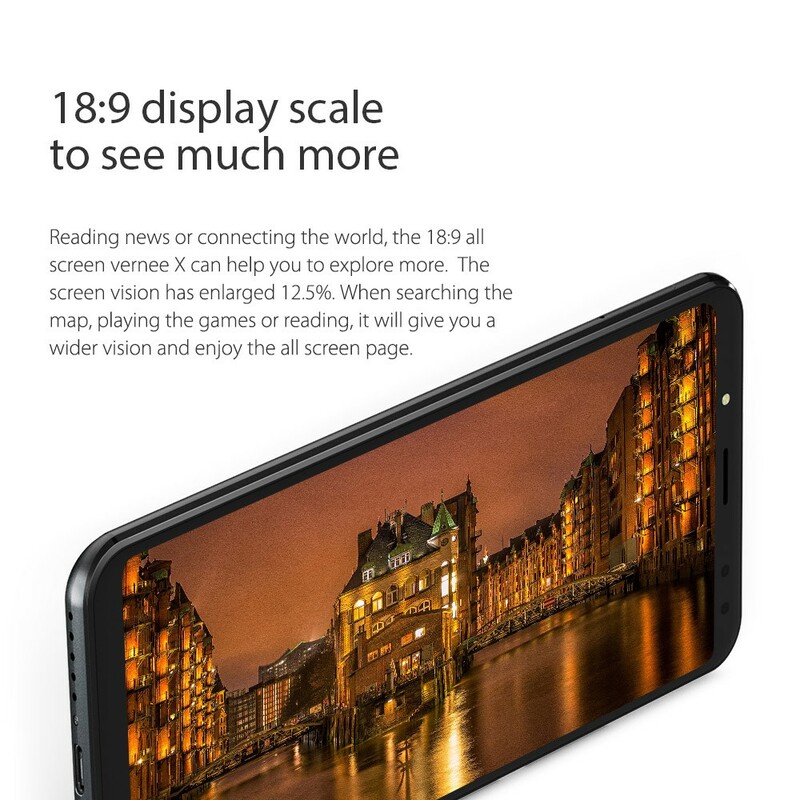 An 1080*2160 FHD+ screen delivers clear images from every angle. 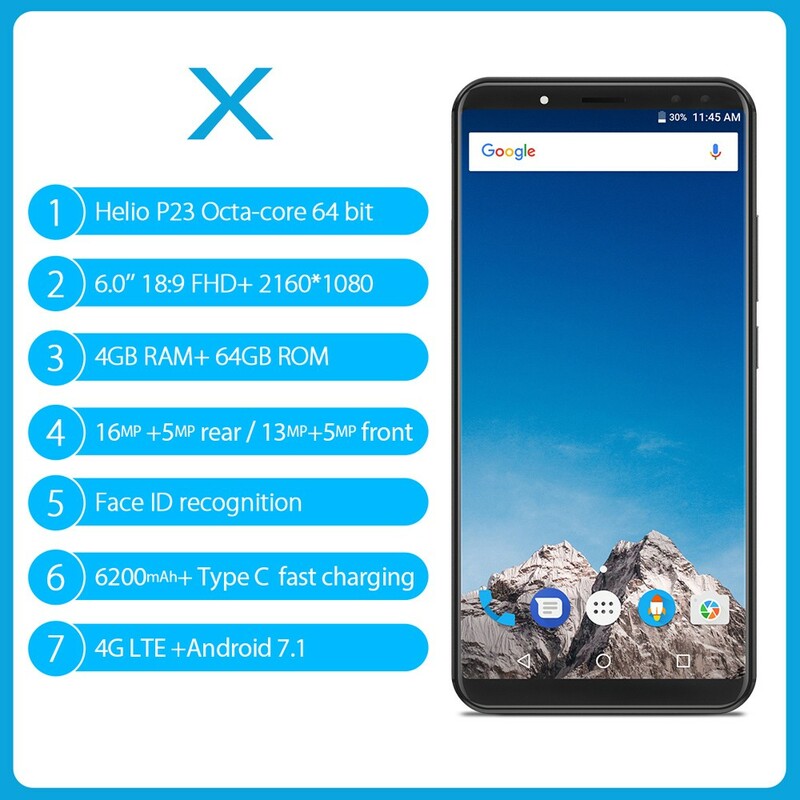 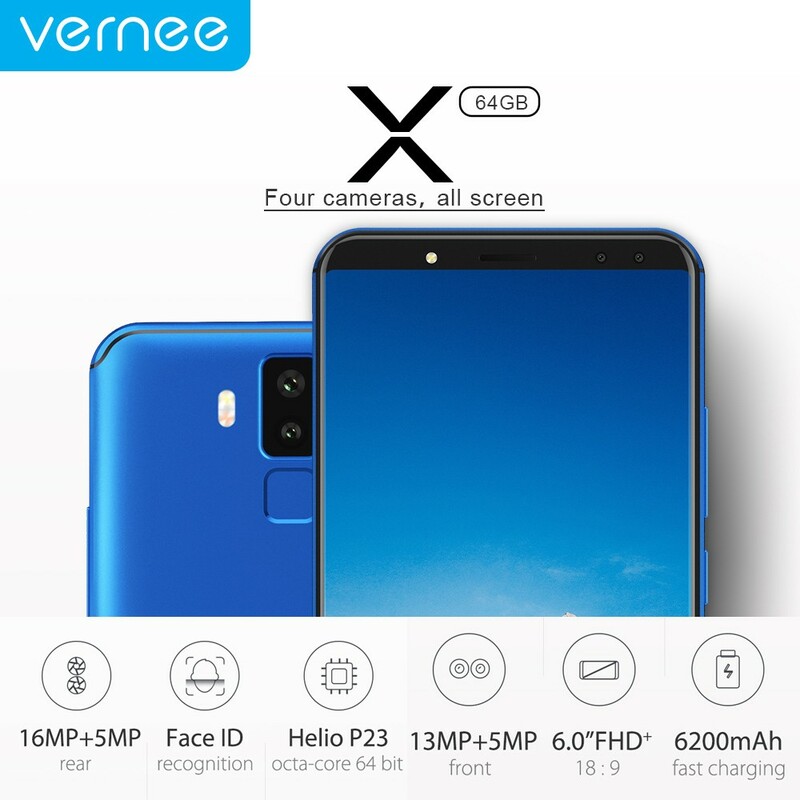 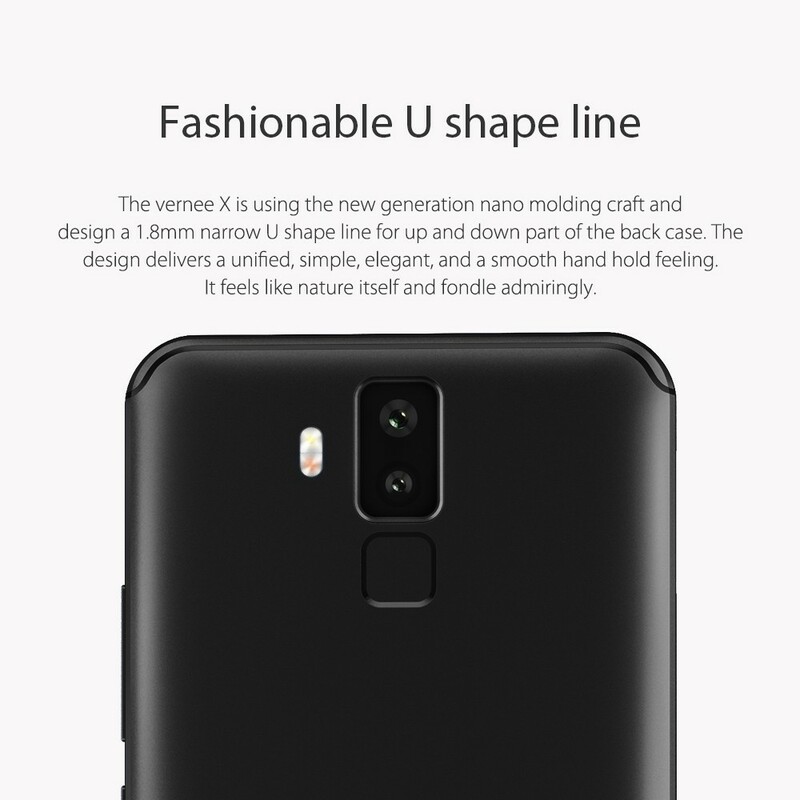 Face ID Recognition: vernee X add the latest face ID recognition technology, faster and safer unlock your phone, gives you a personal phone world. 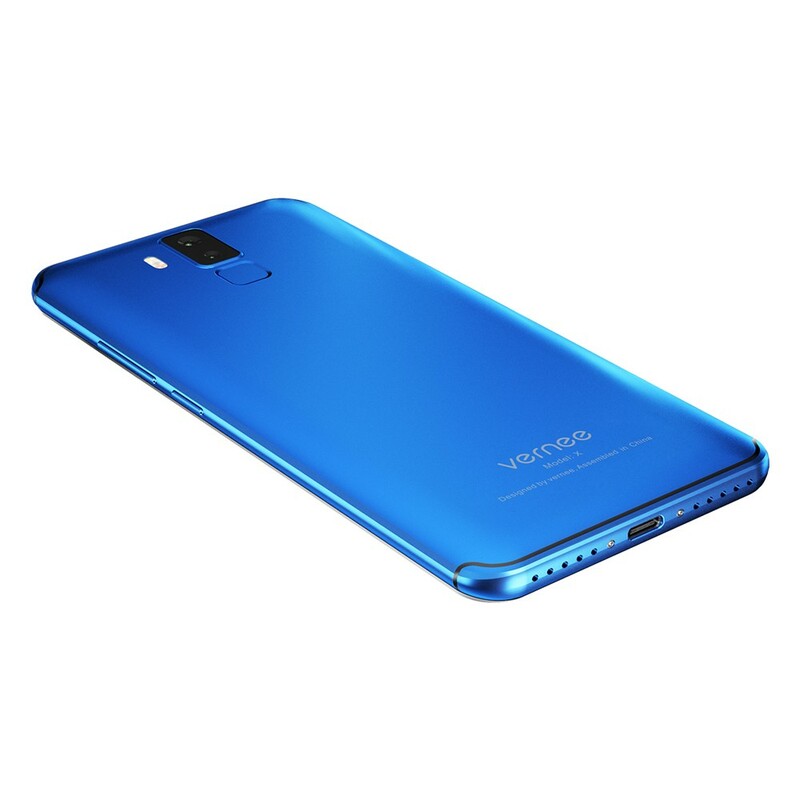 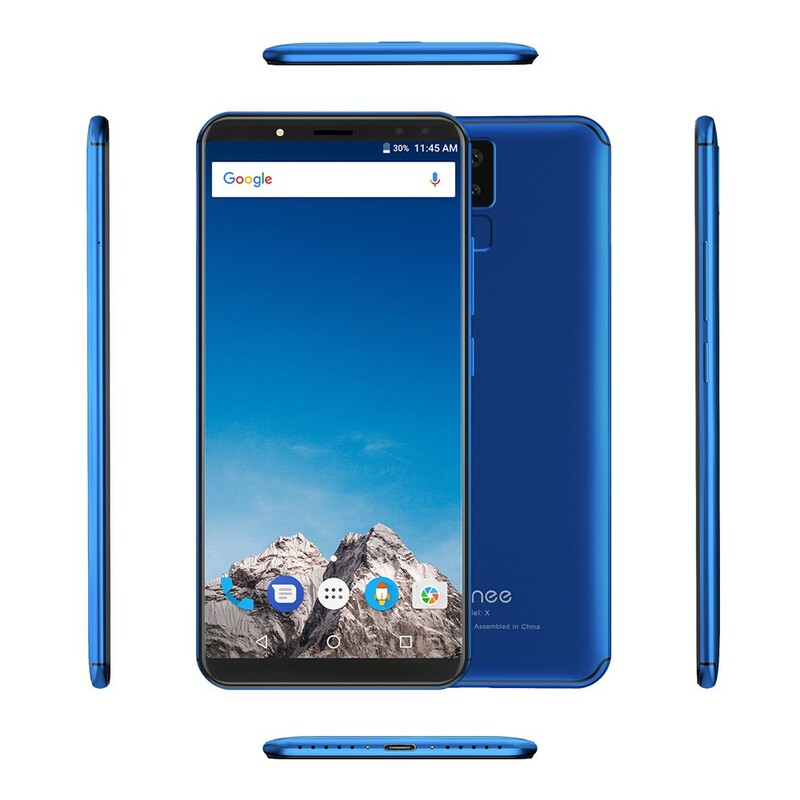 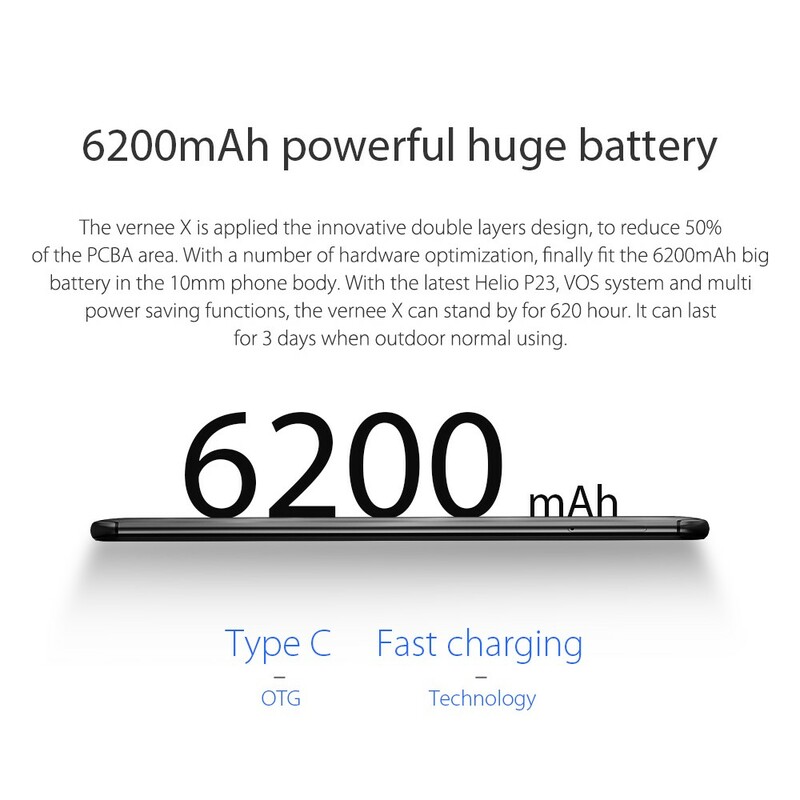 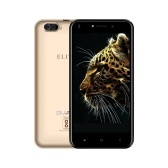 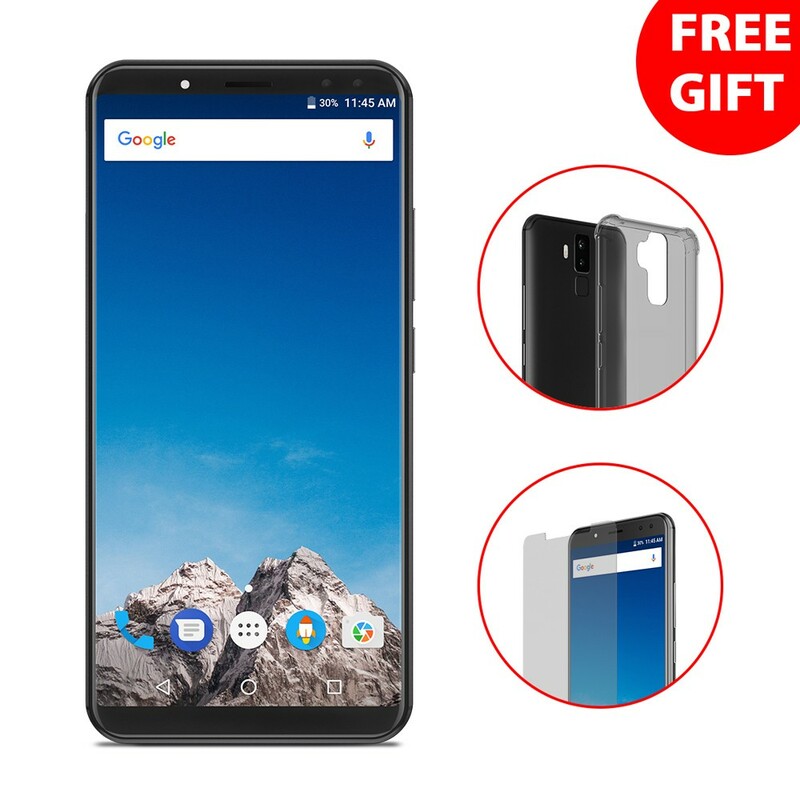 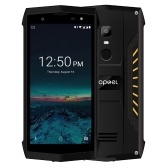 6200mAh Larger Battery: Fit the 6200mAh big battery in the 10mm phone body, with the latest Helio P23, VOS system and multi power saving function, offers you about 3 days normal using. 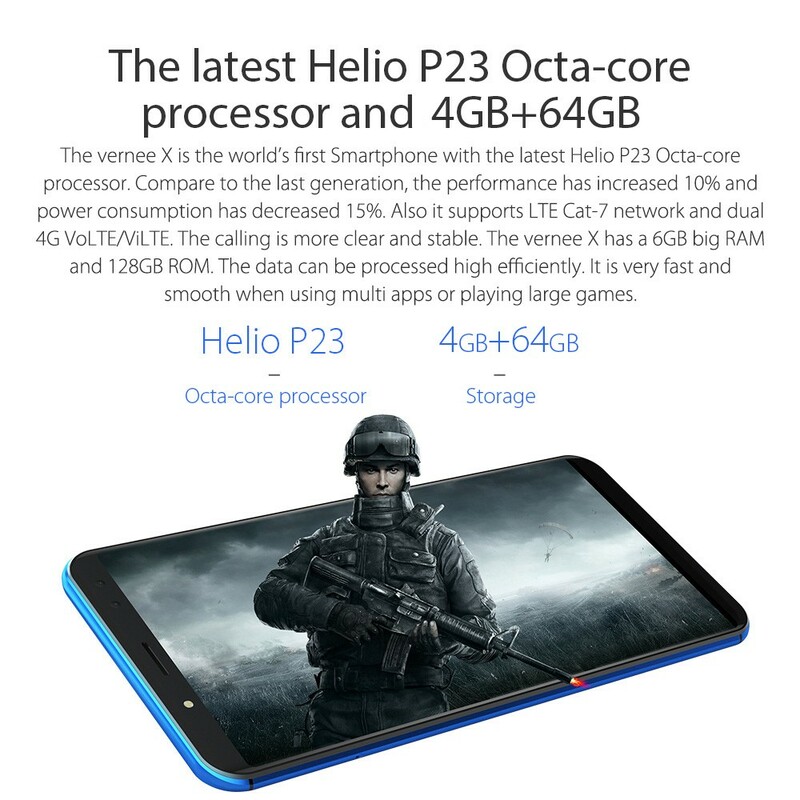 Great Performance: Powered by Helio P23 octa core processor, 6GB big RAM and 128GB ROM/4GB big RAM and 64GB ROM, the data can be processed high efficiently, it is very fast and smooth when using multi apps or playing large games. 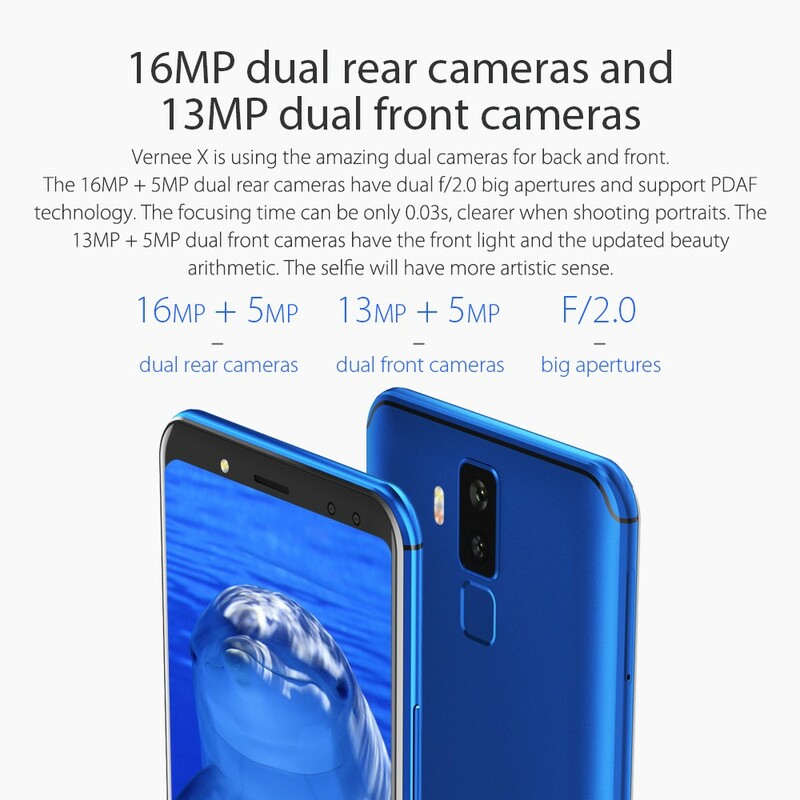 Four Cameras: Dual rear cameras 16MP+5MP support PDAF technology, focusing time can be only 0.03s, clearer when taking portraits. 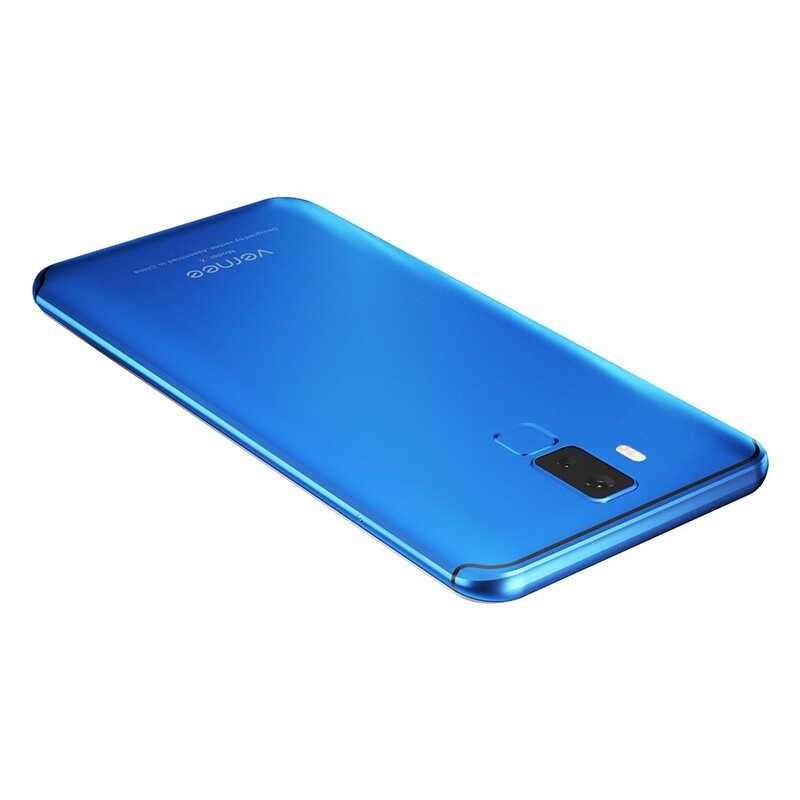 The 13MP+5MP dual front cameras with front light and updated beauty arithmetic will show the best selfie always. 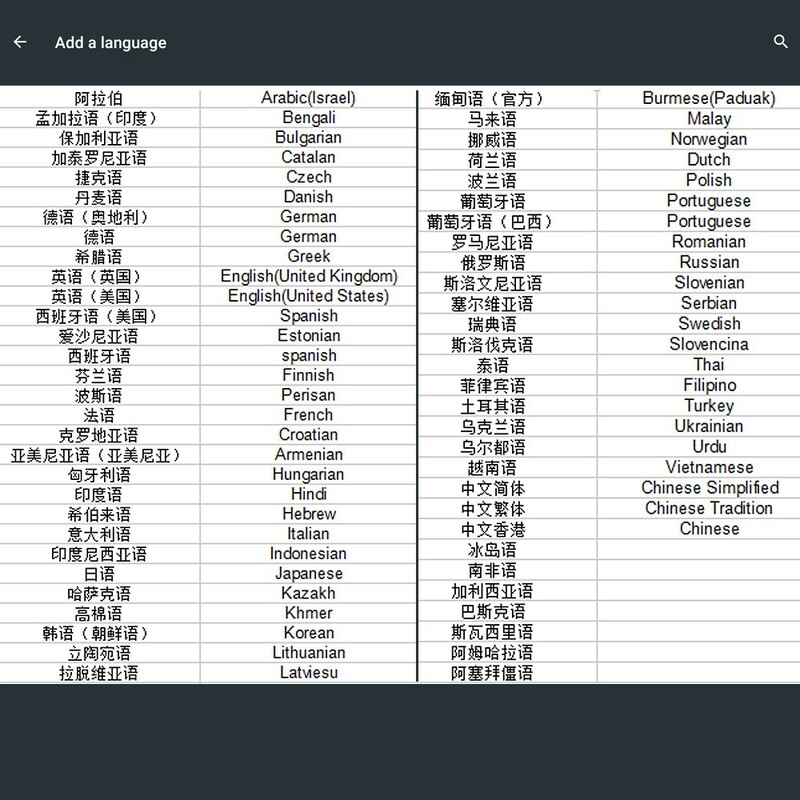 A Please refer to the following information : 1. 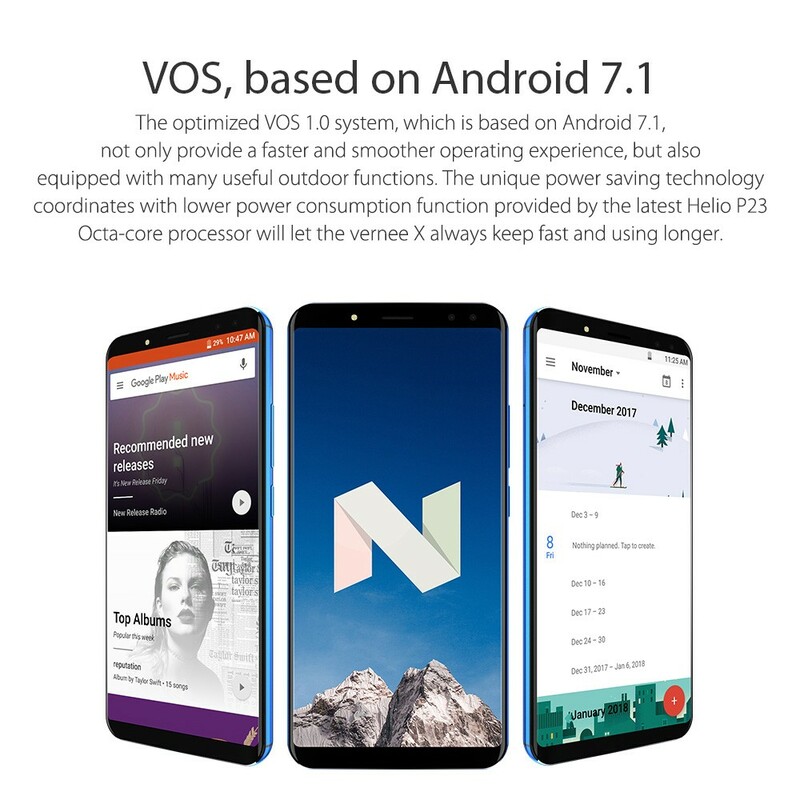 The mobile phone is the original Android 7.1 system, and no other OS is added. 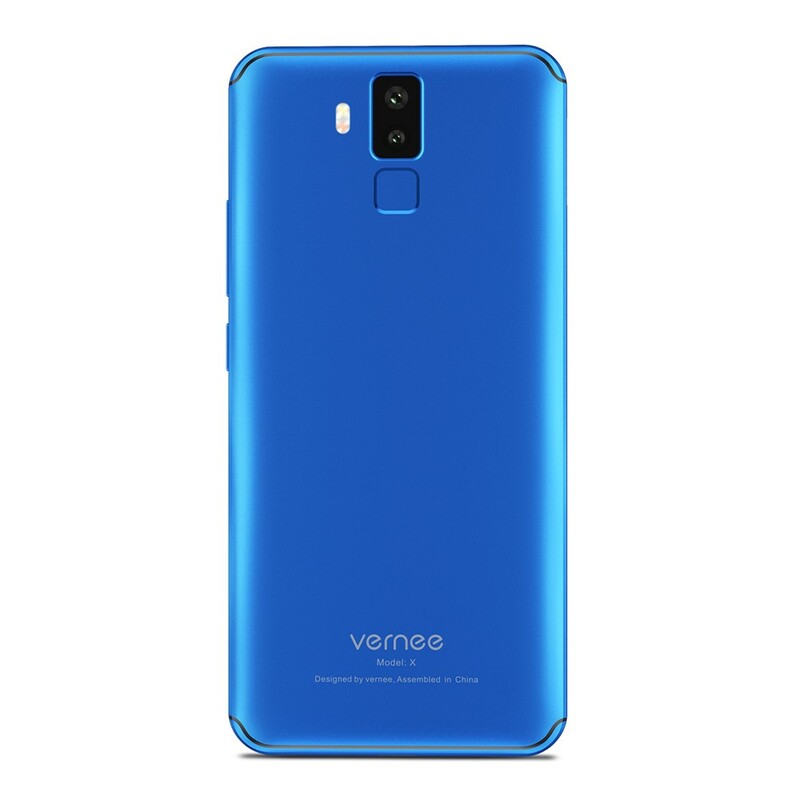 2, synchronization with the car is through Bluetooth, this need to set the Bluetooth connection binding. 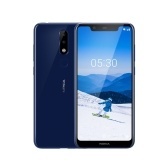 3, and the car above the car to support automatic connection, or it is necessary to manually connect each time. 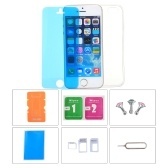 I am very satisfied with your product.